Acutec the Home Inspections: Has 25 years experience in the construction industry. We have the knowledge and experience to do the job right. Our Home Inspection Reports are easy to read and understand with digital photos. We are fully insured and guarantee your satisfaction or your money back. Acutec Home Inspections located in Elk Grove provides services to Elk Grove the Sacramento valley and Foothill communities. Home Buyers: We provide a detailed home inspection report explaining the condition of the home both positive and negative. 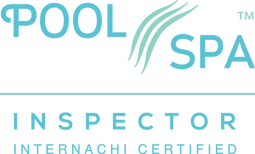 During the Home Inspection process we will inspect and discuss any problems the home may have. We will review different components in the home with you, discuss were those components fall in their life cycle, and ways to maintain and improve the condition of the home. Our professional Home Inspectors will do the job right. Real Estate Professionals: Our work is a commitment to the understanding that your reputation is our responsibility. We are there as a resource to assist you and your clients making the ever important decision of buying or selling a home. We walk the client through the Home Inspection process from the beginning to the end. We are always available to answer questions and to help be a resource for both you and your client. We are fully insured with errors & omissions and general liability coverage. Home Sellers: For the home seller, a pre-sale home inspection provides confidence in the condition and value of your home. By taking care of any repairs or modifications up front, the final sale will have fewer complications and expedite the escrow process.
" When Thoroughness and Accuracy Matters, Knowledge & Experience are Needed"
home. Proud member of NACHI ! 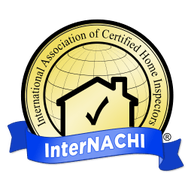 National association of certified home inspectors. We are fully insured which includes coverage for referring Real estate agents. 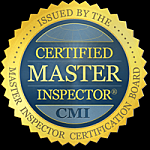 Our Guarantee If you are not fully satisfied at the completion of your Home inspection we will refund your money. Inspection Overview A normal Home Inspection will take between 3 - 4 hours. We encourage you to attend or meet with us afterwards to discuss the findings. This is a very good opportunity to ask the Home Inspector questions. We have years of experience and we will be to offer advice in regards to repairs and or maintenance issues. Later the same day we will email you a link to your report. Your Home Inspection report can be viewed and printed from any location at any time. HGTV Video: "Why you should have a Home Inspection"
Pest Inspection: To make it easier and less time consuming for our customers, we can schedule the Pest Inspection for you at the same time as our Home Inspection. You will receive a separate quote for each service but you can combine them into one bill if you choose. Just ask for a Pest Inspection quote when scheduling your Home inspection. These services available anywhere within 100 miles of Sacramento. The 5 top tip's for a successful Home Inspection. will walk you through the inspection process explaining issues and answering questions. able to explain anything that you don't understand. will help you understand which issues are common and which are not. future home improvement and maintenance. Home Inspector charge to come back and re-inspect a corrected item. 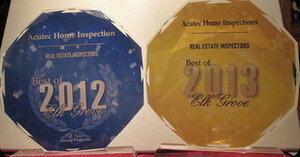 Acutec Home inspections in Elk Grove CA. Services the Sacramento Valley and foothill Communities!